Thank you guys so much for your sweet comments on Friday’s post! I’m really excited to have more time to focus on this little space and it means the world to me to be able to share that with you and receive such encouraging comments in return. Hopefully this means I’ll have the time to accomplish the ridiculously long list of things I’ve been neglecting over the past year like installing nutritional facts for those of you that have requested it. And putting together a media kit. And changing my name. That last one is a little embarrassing to admit. Please tell me I’m not the only one who puts that off for this long? Lucky for me, Brandon is really understanding about it and knows it doesn’t mean that I love him any less. I’ve just been a little preoccupied taking pictures of food is all. I think his understanding might stem from the fact that he gets to eat the food, but what do I know. I usually bring him samples of things to try while he’s working in his home office and most of the time before I hand him a bite, I’ll explain what it is first. Well after I listed the ingredients for this salad, he furrowed his brow and then slowly scooped a spoonful into his mouth. A few seconds later, he let out a reassuring “mmm…” and said that although it sounded like a strange combination, it tasted phenomenal. 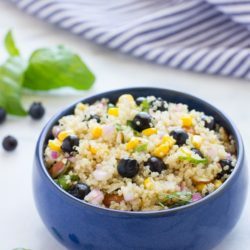 I personally don’t see how it’s a weird combo because I LOVE blueberries and corn, but I get that it might be different to some and all I can say is that it just works. The tart juicy berries with bits of sweet corn and basil complement each other so well. And then the almonds and the quinoa give it a nice texture with a little crunch. 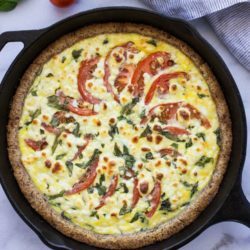 It’s also super light and dairy-free so you don’t have to worry about it sitting out too long in warmer weather which makes it perfect for a summer BBQ or potluck. I hope you guys get a chance to try this one because I really think you’re going to love it! Enjoy! 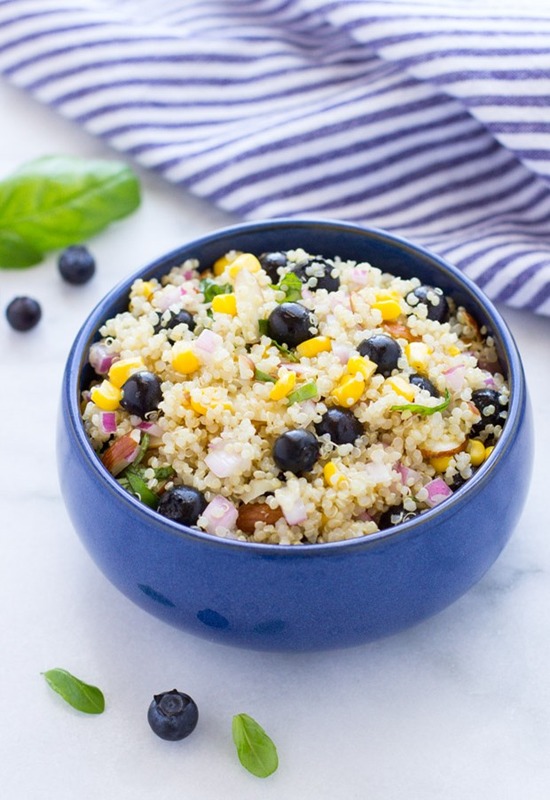 In a large bowl, combine the quinoa, blueberries, corn and red onion and stir together. In a separate small bowl, whisk together both vinegars, the olive oil, salt and honey. Pour the dressing into the large bowl with the quinoa and stir until well combined. Then add the basil and gently stir together. Serve immediately or cover with plastic and refrigerate until ready to serve. 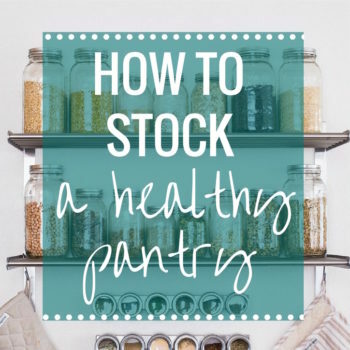 Store in an airtight container for up to 3 days. *Prep time doesn’t include time to cook quinoa. Click here for instructions on how to cook quinoa. Oh man, I can see how this would be an awesome combo! I love quinoa salads and this looks so fun. I never bothered changing my name when Riley and I got married. I literally agonized over it for months, but I just couldn’t bring myself to do it. Luckily, Riley doesn’t care about that kind of stuff at all! Ha! Well we are definitely on the same page today with the blueberries and corn! I love it! This sounds perfect! Ugh changing your name is such a pain! I had to change it fairly quickly because we had to renew our passports (and I didn’t want to have to get a new one again after I changed my name). At least it forced me to just do it! Combines some of the best of summer!! This is perfect! Love the fresh summer corn and sweetness of the blues! Booburries and coooorn! Yes, I love that combo as well and have never tried it in a quinoa salad! It looks so fresh and vibrant! That Brandon’s a lucky guy being served up a fresco dish like this. Many congrats again for the big life change! It will feel so good to get on top of those To Do list items! Don’t you just love pretty food?! It’s so much more fun to eat! 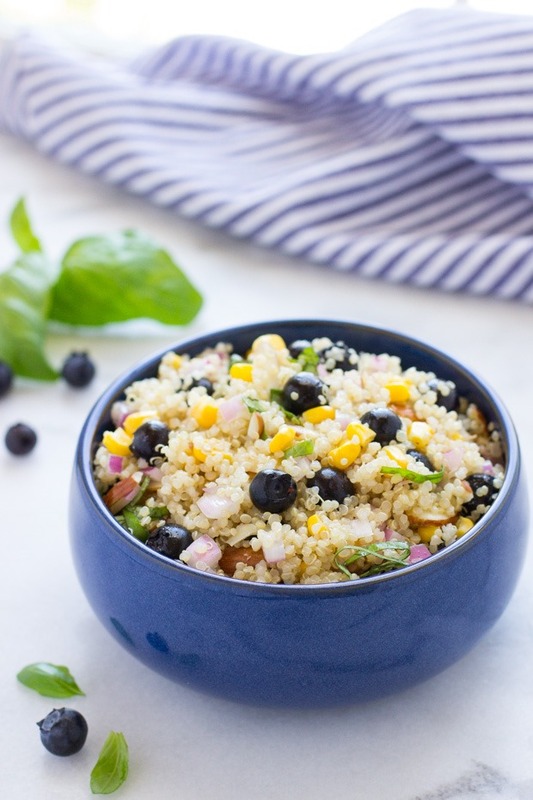 I have to admit that I never would have thought of combining blueberries and corn, but it actually sounds amazing — and so, SO perfect for summer! And I love that you paired it with basil as well. 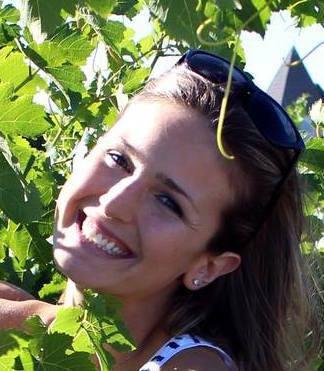 Seriously, girl… where do you come up with these out.of.the.world combos?! 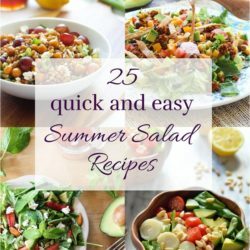 Hello perfect summer salad! I am so looking forward to fresh summer corn being available, it’s a summer highlight for me. I will pin this now so I don’t forget to make it. Thanks Cara! I hope you enjoy it! 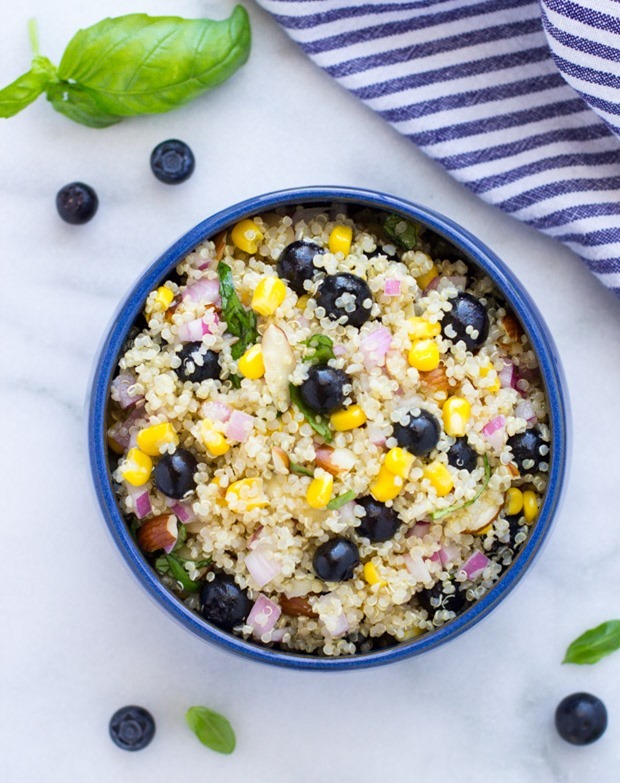 Blueberries + corn sounds like an interesting combo. 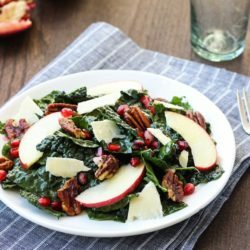 I don’t think I’ve ever tried it, but this recipe sounds so fun and summery! I never changed my name after marriage. I don’t think I ever will. I’m the only one out of all my friends who didn’t change her last name. Like you mentioned, it really doesn’t reflect how much you love your husband. If I still ate quinoa, I’d totally devour this salad. I love anything blueberry! 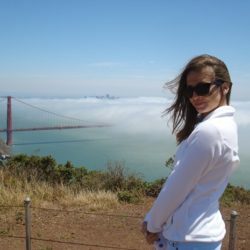 Congratulations on your big news Sarah ~ I cannot believe that with a full time job (and did I hear something about extra hours) you were as prolific a blogger as you are currently (wow! I can only imagine what’s next)… what name change are we talking about? I take it you don’t mean your blog name… maybe your last name re: marriage. Put it off? I never changed mine (been married for almost 20 years) :D. Hope that makes you feel more comfortable. This salad… what can I say, immediate love. It’s gorgeous in every sense — I don’t find the combination odd at all, I do find it wonderfully appealing. And that bowl? Details please :). Thanks Kelly! It’s been tough to keep up with everything so I’m really looking forward to the extra time. Oh, and the bowl is from Crate & Barrel. I love shopping there for food props! I’ve never tried blueberries in a salad before.. so this is a must try recipe for me. Looks delicious and so perfect for Summer! Oh god! I am loving this gorgeous delicious and healthy looking salad bowl. Also loving your stunning photographs, they are AWESOME. This looks simply amazing! Gorgeous bright clicks! At first I must admit, I was skeptical of the blueberries in this – then I read your recipe – and yum! 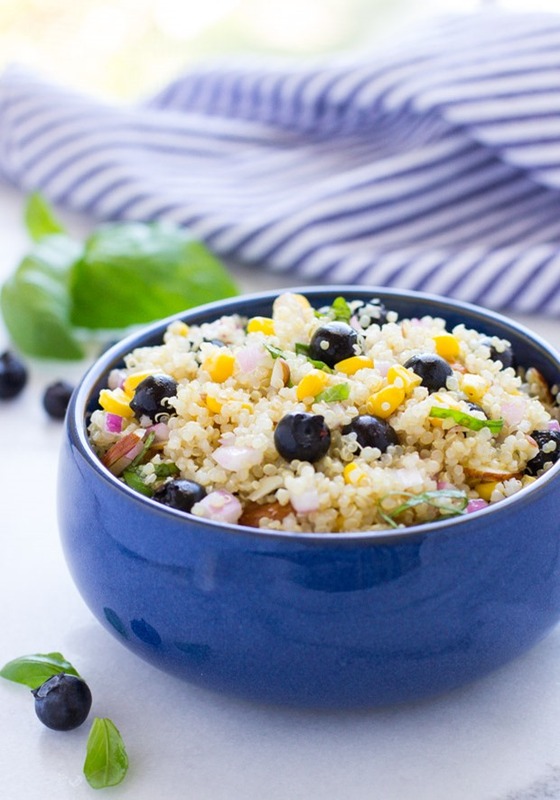 I can just imagine how well the blueberries and corn tasted with the quinoa, and vinegars and basil – simply yum! Made this last night, so wonderful! Amazing combination of flavors that really worked together, my husband loved it too! 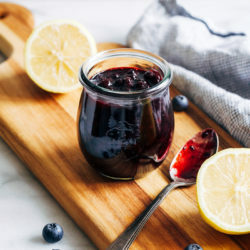 Only changes I made were I eliminated the honey as the blueberries were very sweet and squeezed the juice of one lemon over the top. This was soooo good! And because I was making this as a meal, I added mushrooms & pecans & just a touch of cayenne! . Thank you!!! Wow, that sounds so creative! Thanks for the feedback, Melissa!